IT WAS, as always, a great pleasure to catch up with our old mate Lee Whitton from Hadspen. He rolled in to Mood Food driving his eye-catching 2007 Western Star Constellation with a 550 Cat up front and towing a flat deck loaded with general for Tasman Logistics Services. He was on his way to Launceston from Hobart and would be continuing on to Devonport in the morning. Lee told us he has had the Star for two-and-a-half years and he is rapt in the truck and its reliability and comfort. 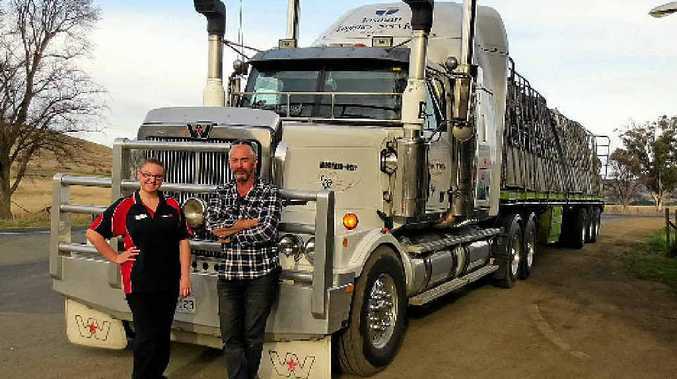 He subbies for Tasman Logistics Services and finds them a good crowd to tow for, especially as they are keeping him on the go, which is good the way things are at the moment. He said his only real gripe was the price of fuel.